It’s hardly fair that arguably the most important part of us gets the shortest of celebratory months: February, Heart Health Month. But let’s make the most of these 28 days. Here are some ways to show your heart you care and help it stay in top shape all year long. Know Your Blood Pressure: Check with a healthcare provider to determine what a healthy blood pressure is for you and then have it checked regularly. The higher your blood pressure, the greater the strain on not only your heart, but your arteries, kidneys, and brain, too. Ease Up on the Salt: Excess salt is not good for your heart. If you eat too much salt, the extra water stored in your body raises your blood pressure. So, the more salt you eat, the higher your blood pressure. Give your heart a break and instead of passing the salt, just pass on the salt altogether. And the Alcohol: As long as salt is off the table, you may as well skip the margaritas. In all seriousness, alcohol isn’t good for your heart. You don’t need to cut it out completely, but cutting back is good, and so is choosing heart healthier options like red wine. Less Red Meat, More Green Vegetables: No surprise here. Unless your doctor advises against it, you’re completely allowed a steak or burger from time to time. Just don’t have these meals regularly. Opt for healthy options like chicken and fish with plenty of green vegetables. Your heart will thank you. Quit Smoking: One of the best things you can do for your whole body is to quit smoking. Your heart, lungs, and even skin benefit from kicking the habit. Even cutting back is a step in the right direction. Even just 24 hours without a cigarette helps lessens the burden on your heart. Know the Symptoms of Heart Attack: For men, the common ones are neck pain, shortness of breath, tight feeling in chest, and numbness of limbs. Women tend to experience more nausea, dizziness, and fatigue in addition to (or sometimes exclusive of) chest pain, back pain, and jaw discomfort. Do Your Cardio: Even a 30-minute walk does wonders for your heart. If you are good to your heart, chances are it will be good to you. 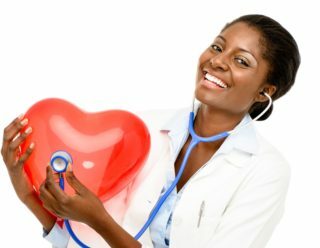 Regardless of your age, health condition, or family history, there will always be ways to make your heart healthier. If you’ve let your health regimen fall behind, choose Heart Health Month 2018 to get back on track. For more heart health tips and to ensure you’re on the path to you best health, schedule an appointment with our primary care provider at 219-885-4264 or fill out our form here.